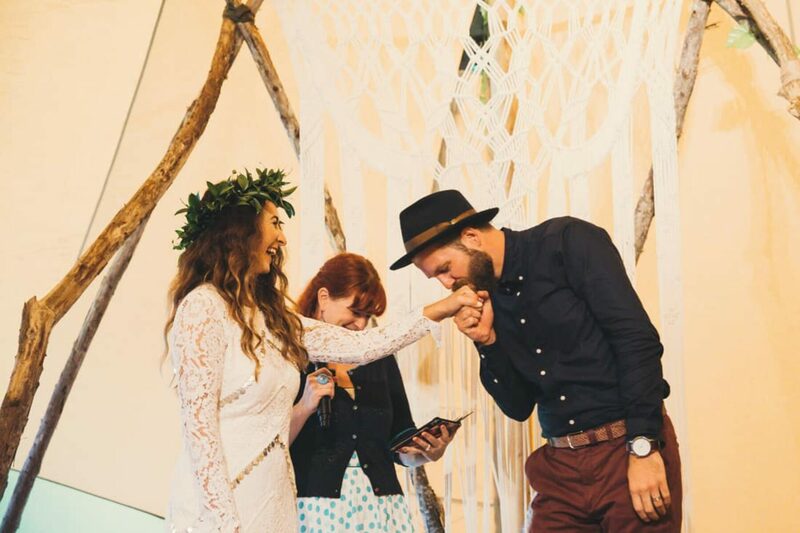 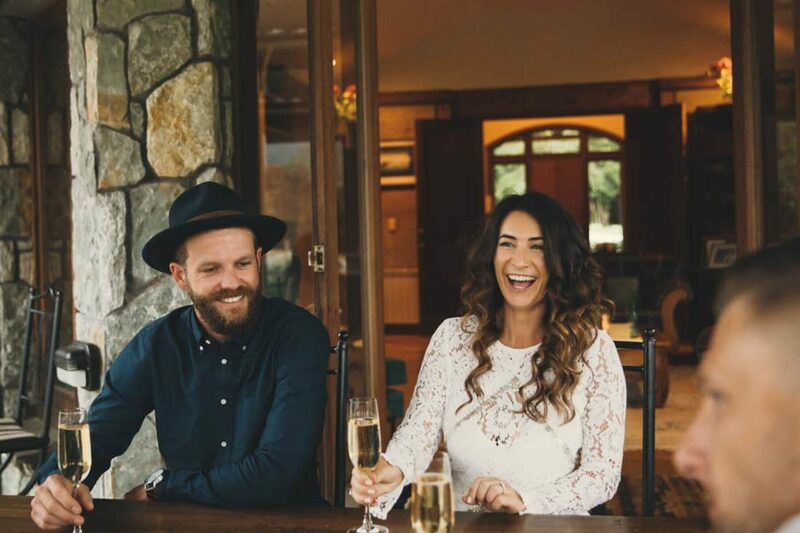 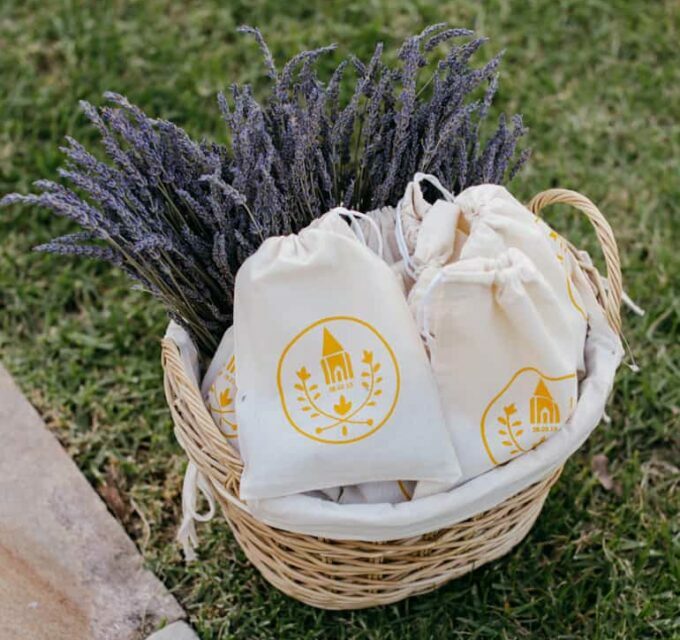 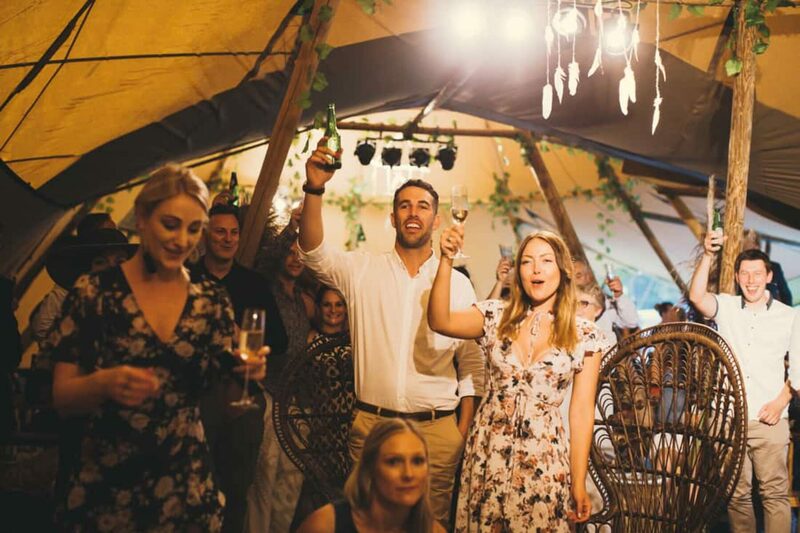 Keen festival goers, Matt and Jenna went about creating one of their very own to celebrate their wedding. 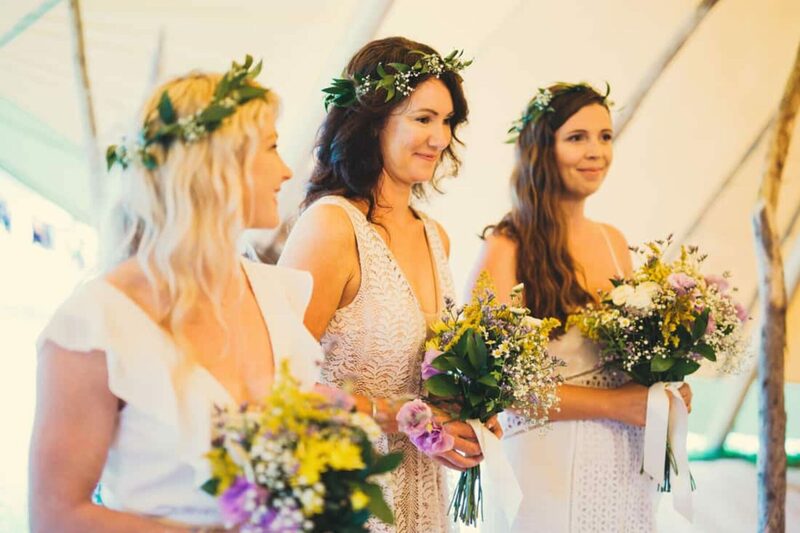 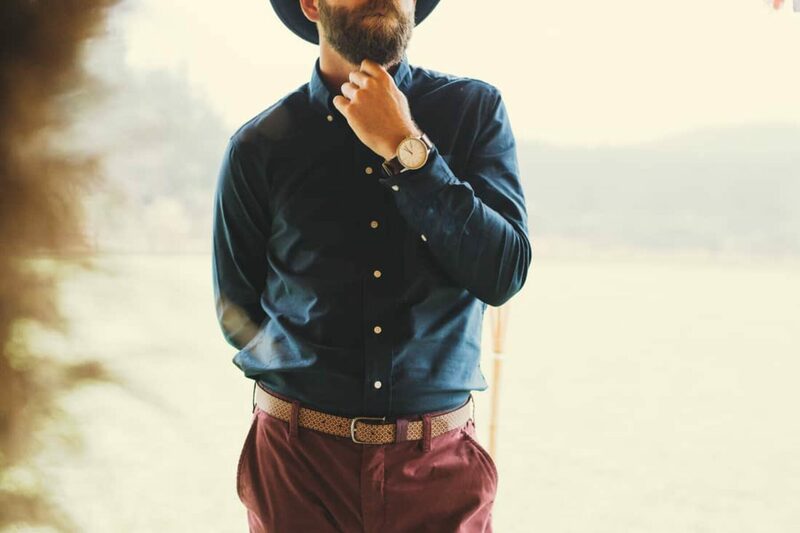 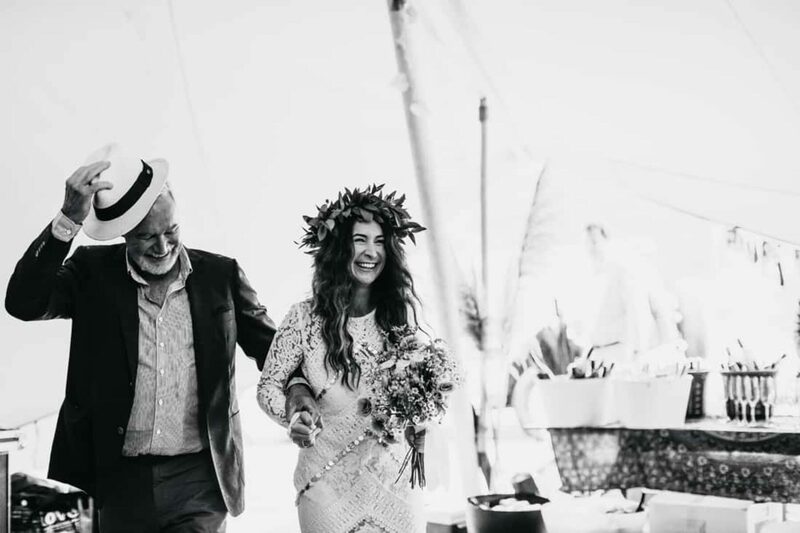 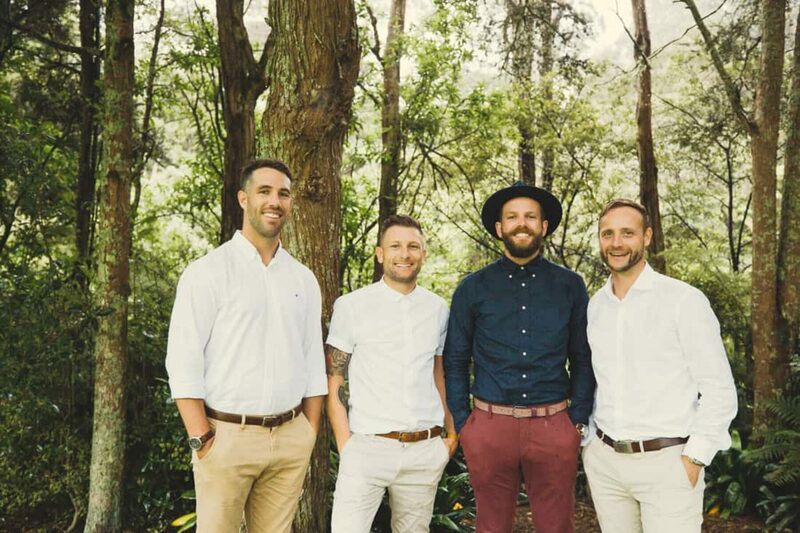 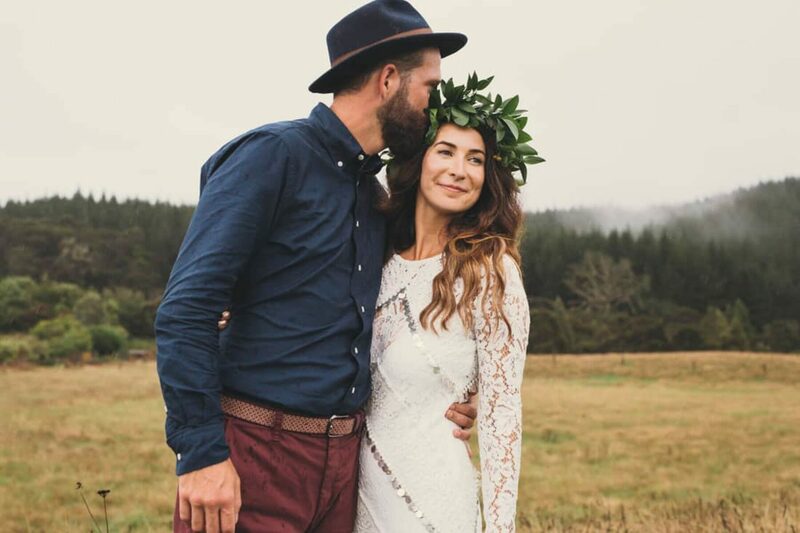 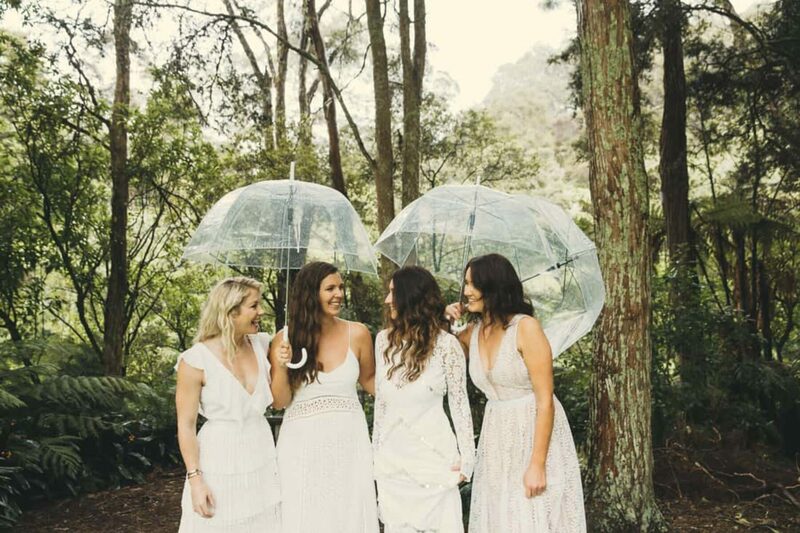 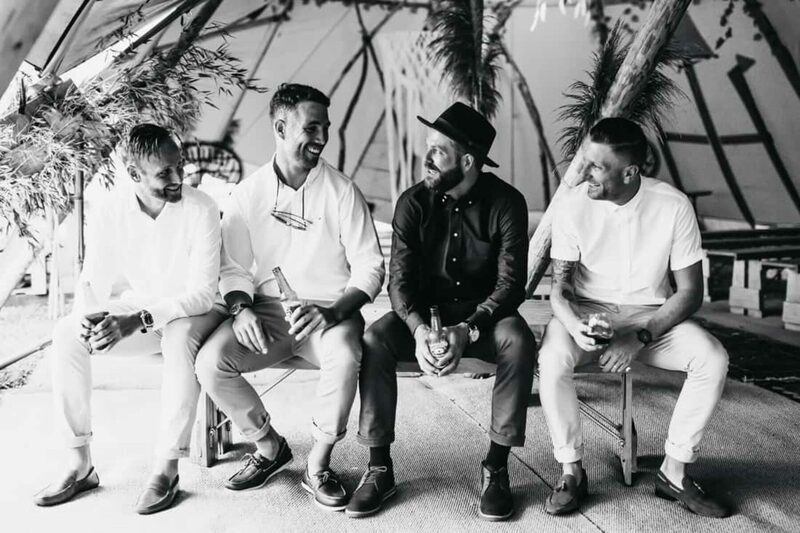 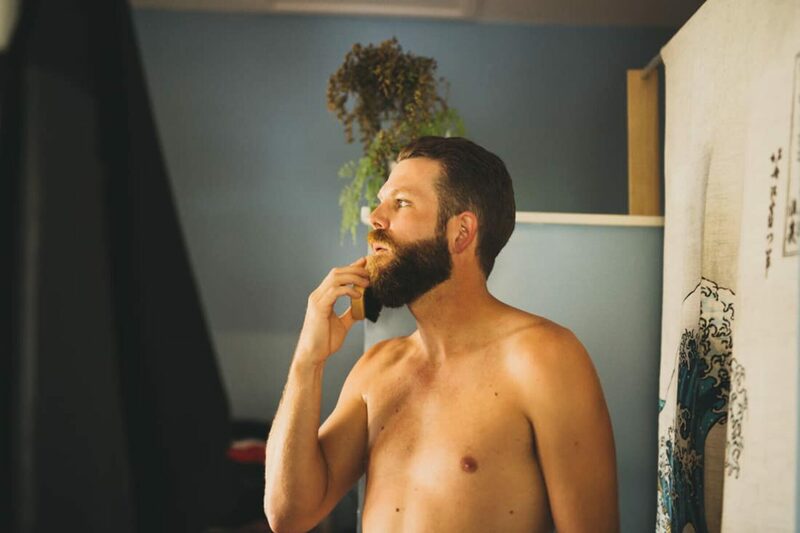 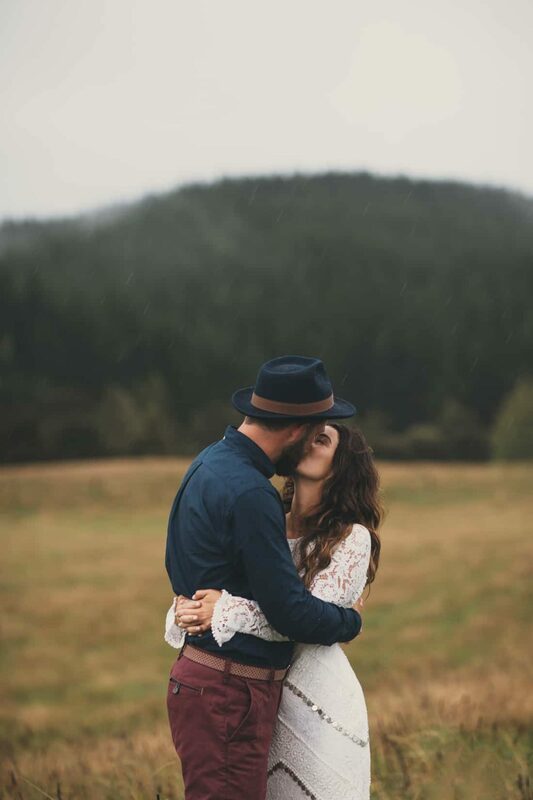 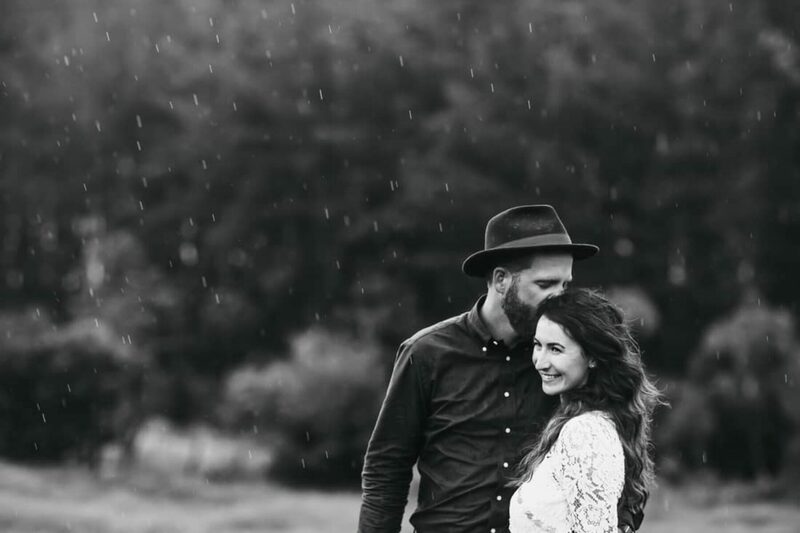 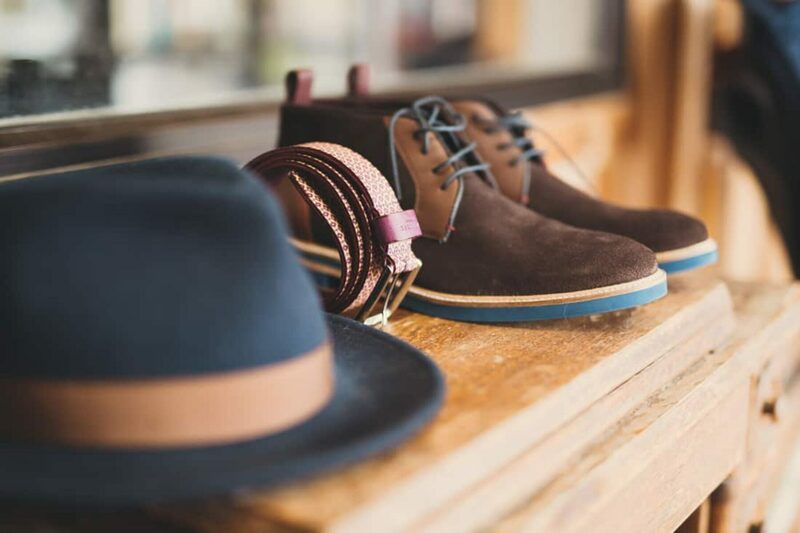 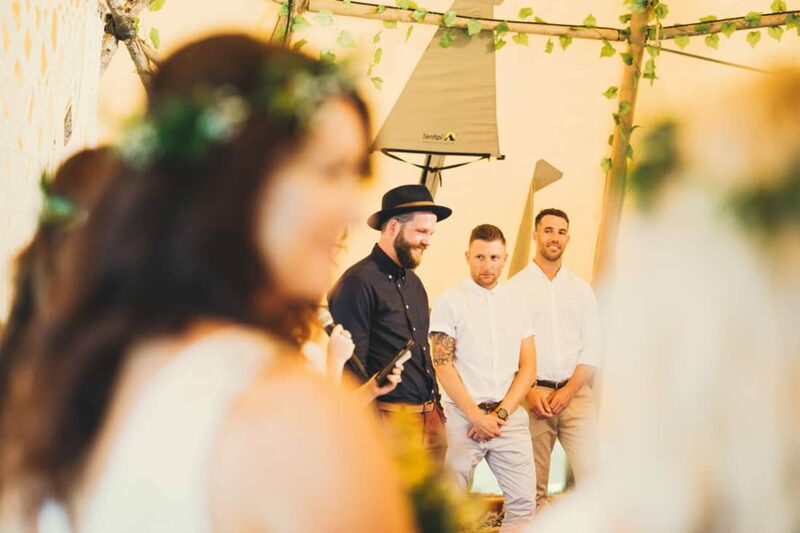 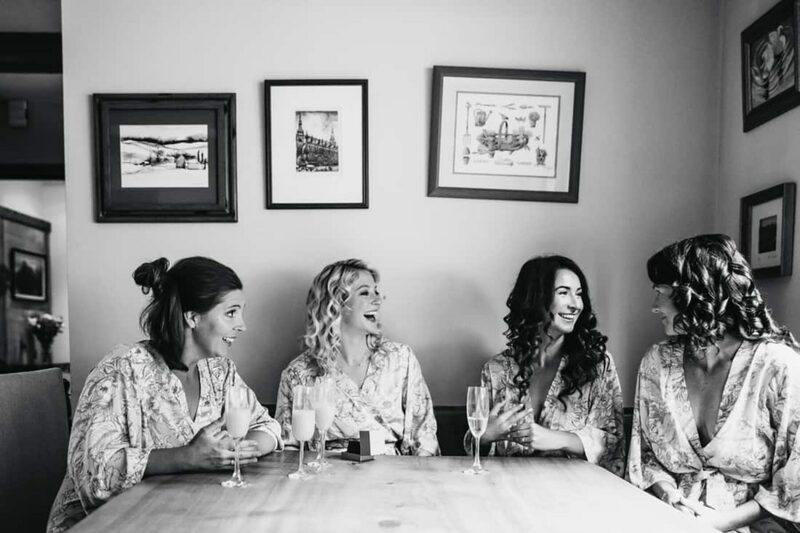 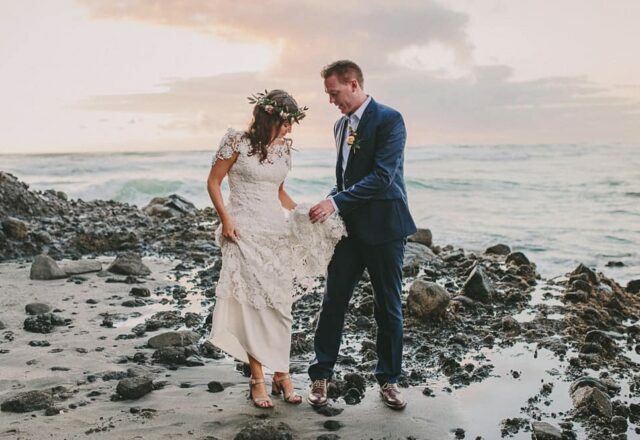 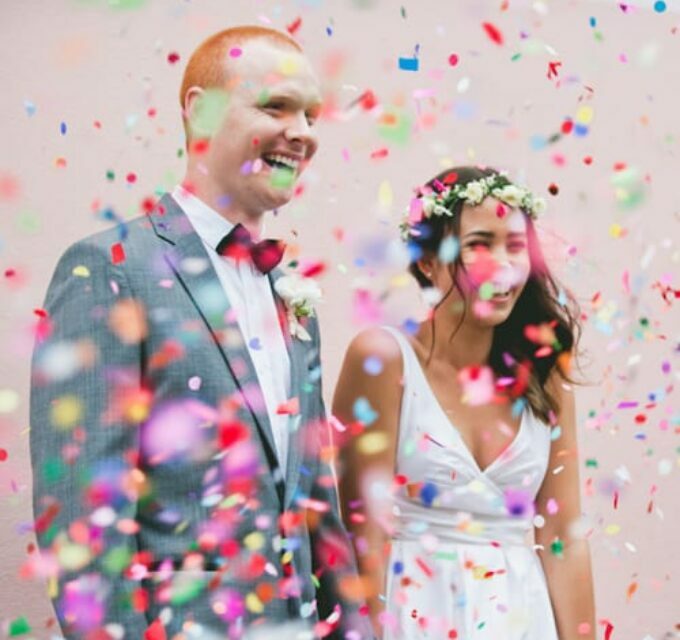 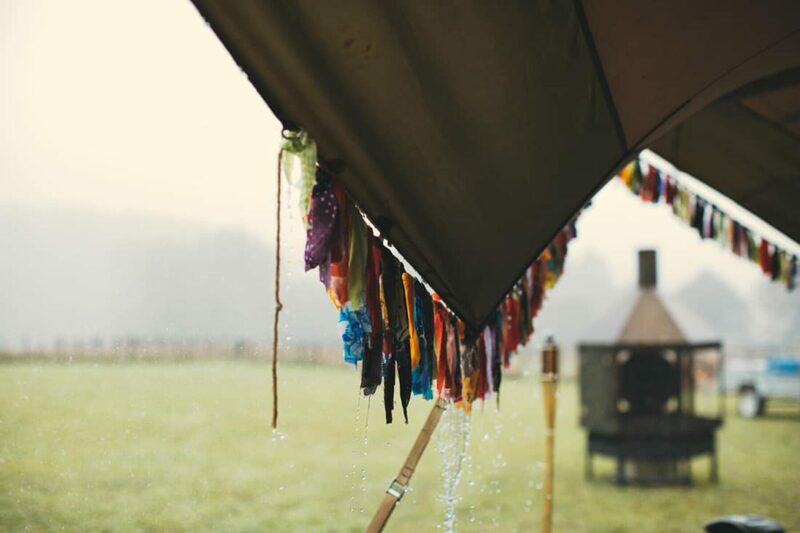 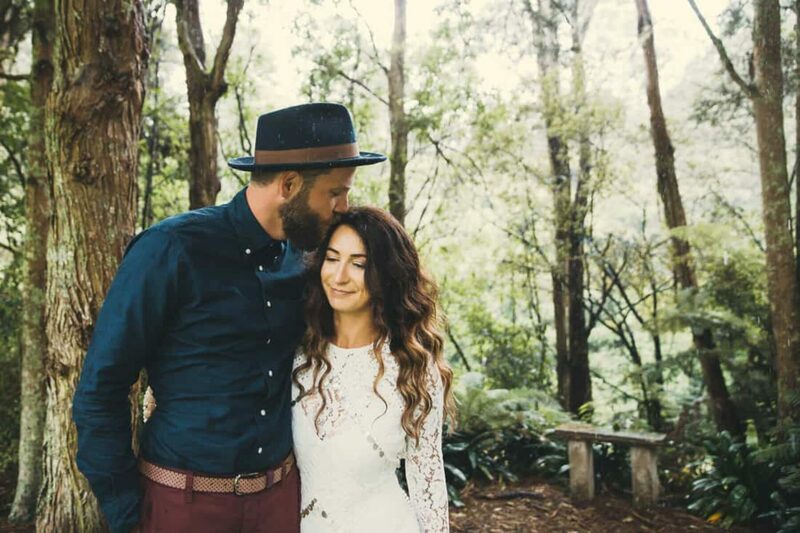 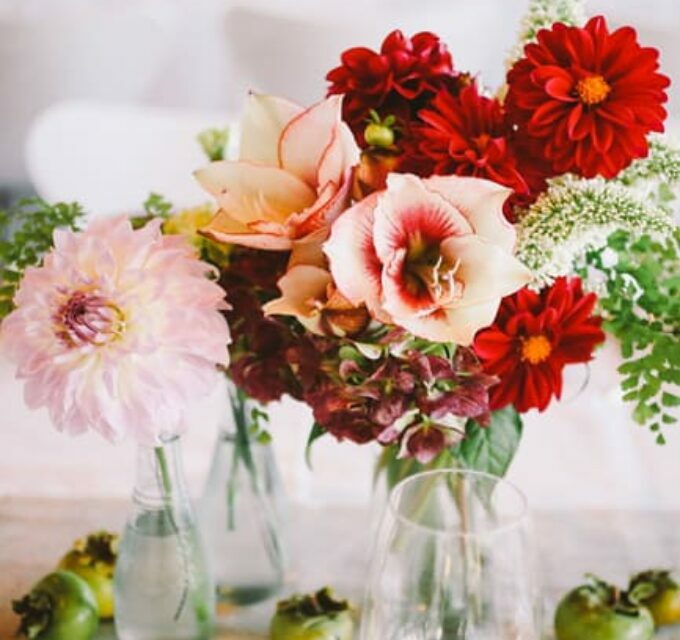 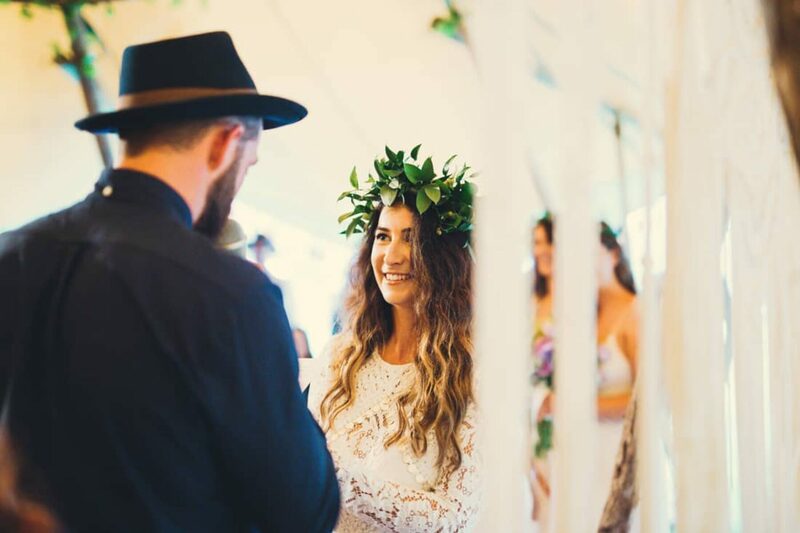 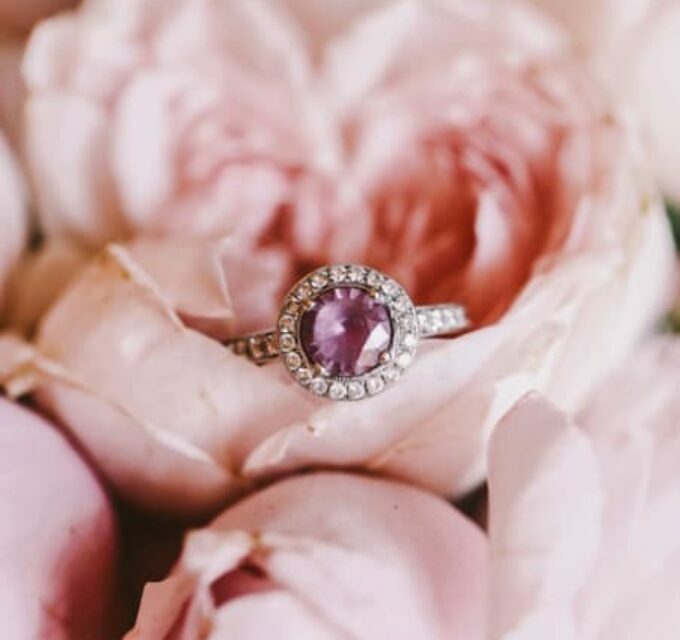 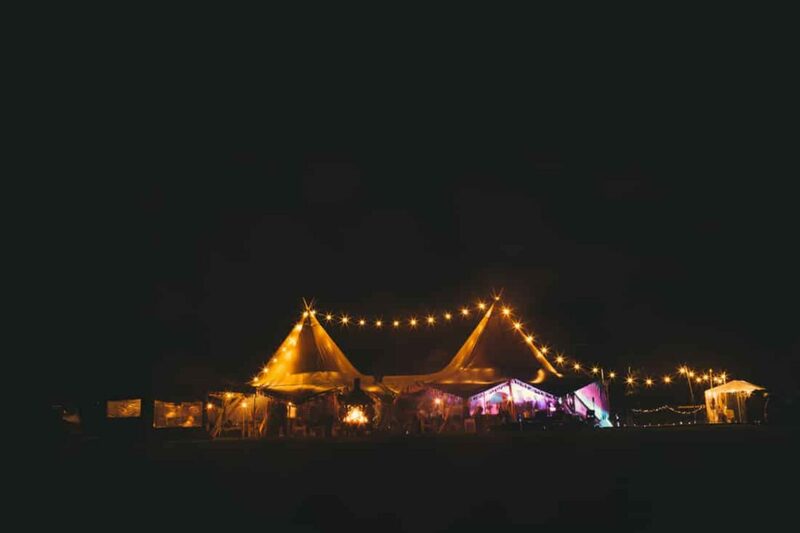 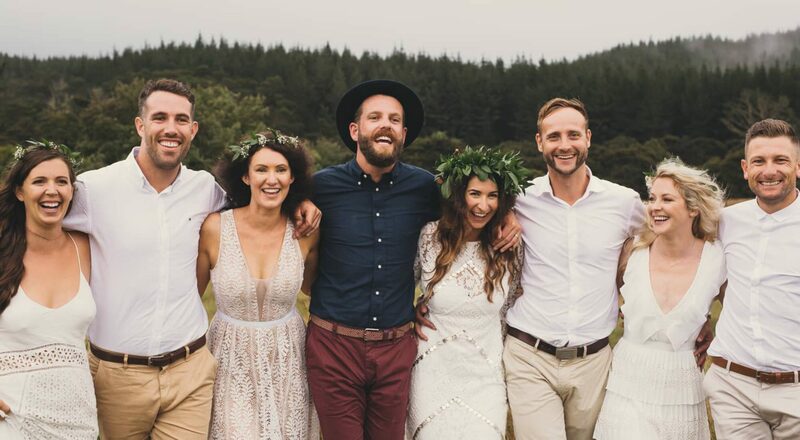 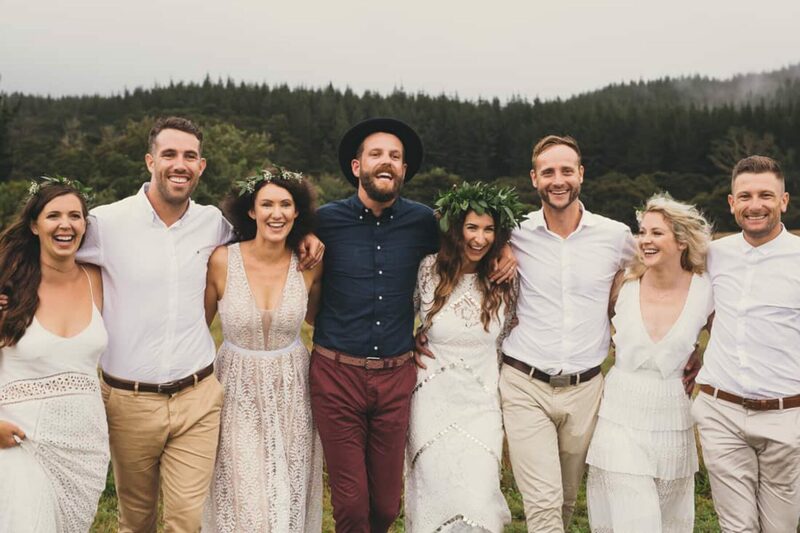 With Captured by Keryn behind the lens and plenty of dancing in gumboots, this epic two-day New Zealand wedstival was just the ticket. 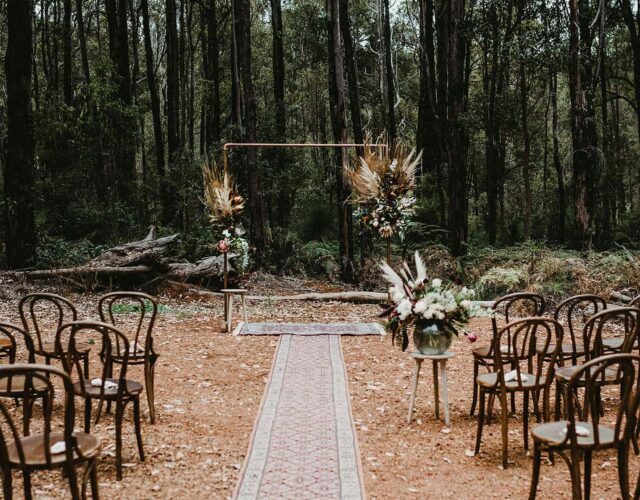 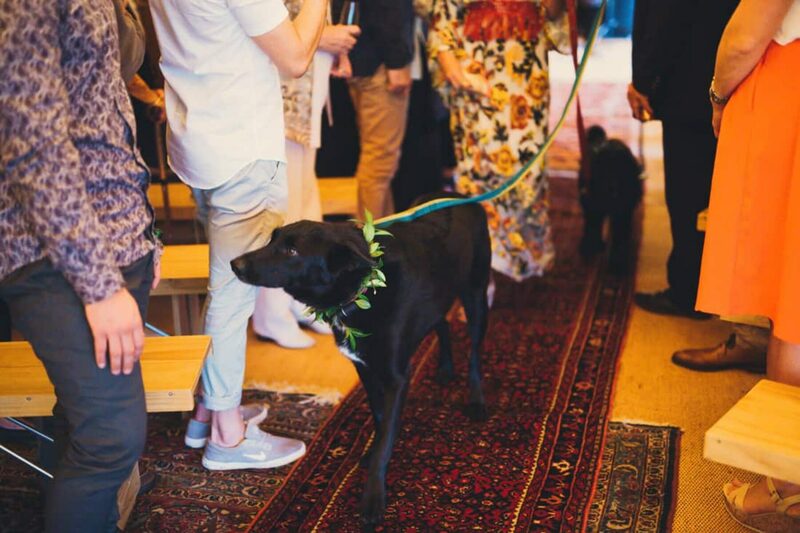 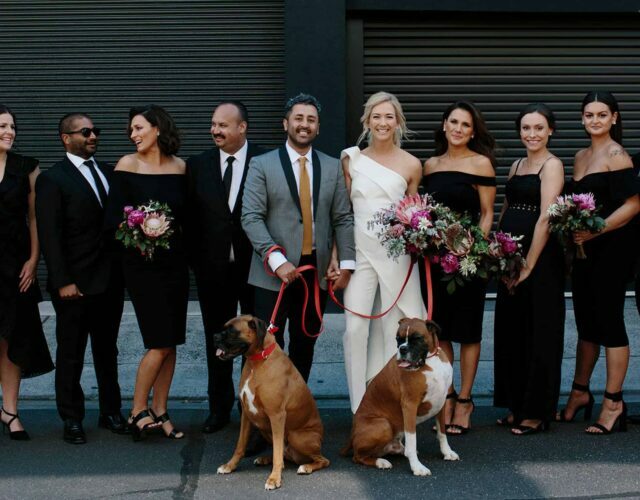 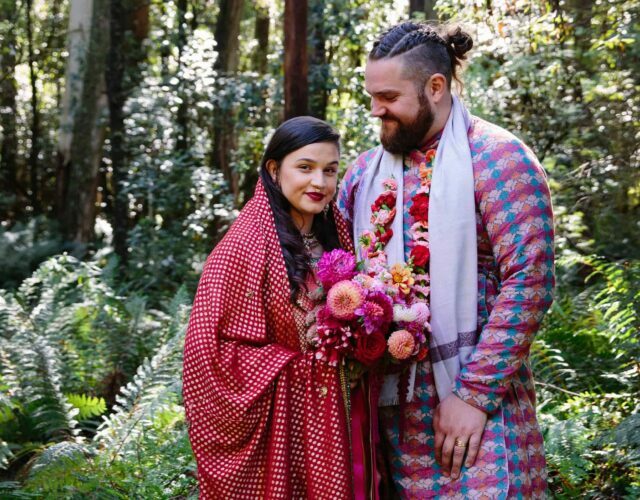 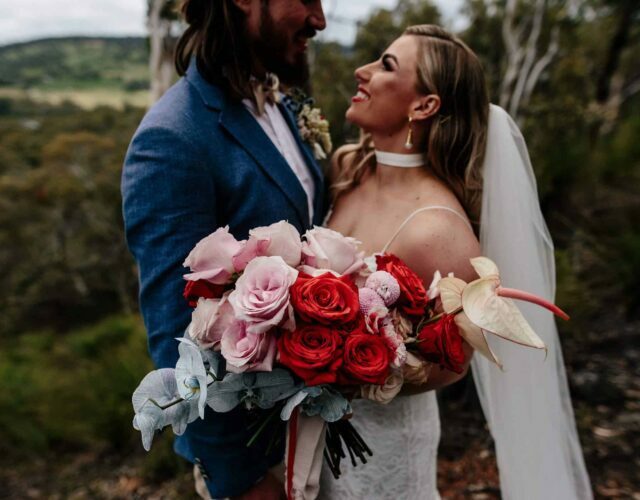 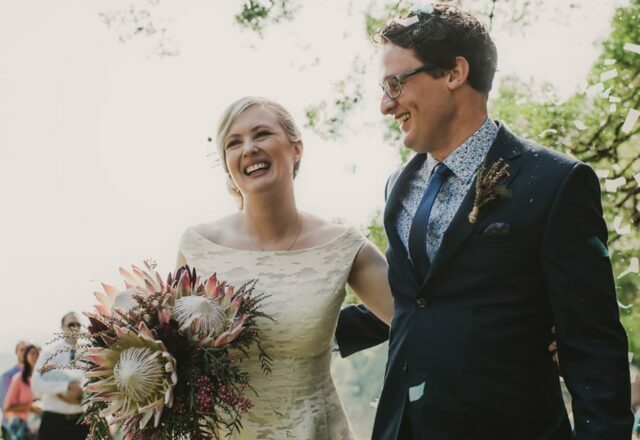 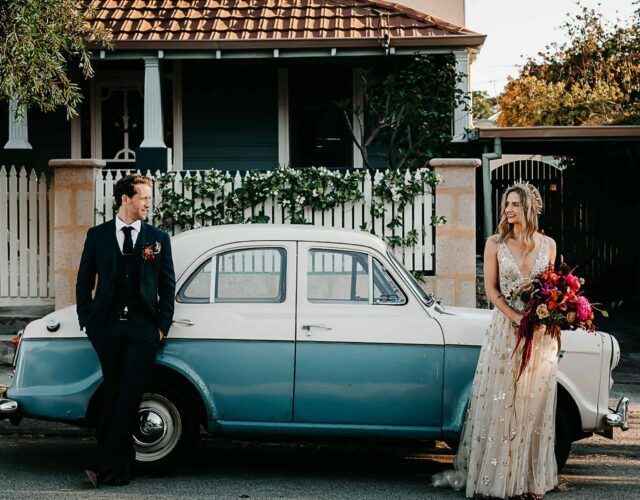 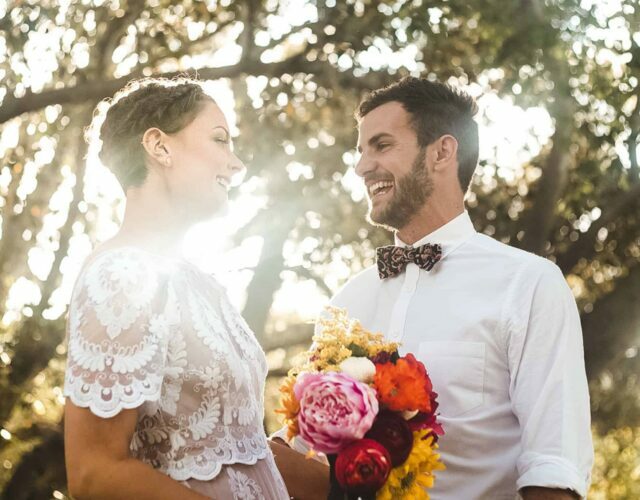 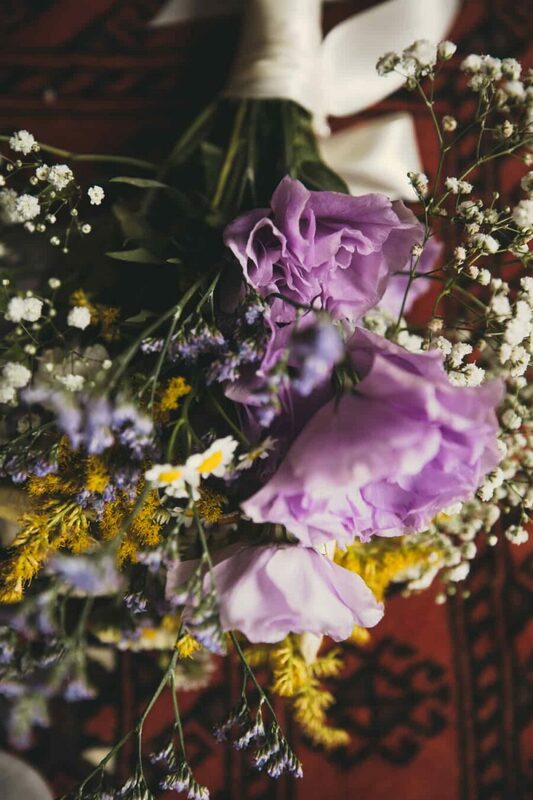 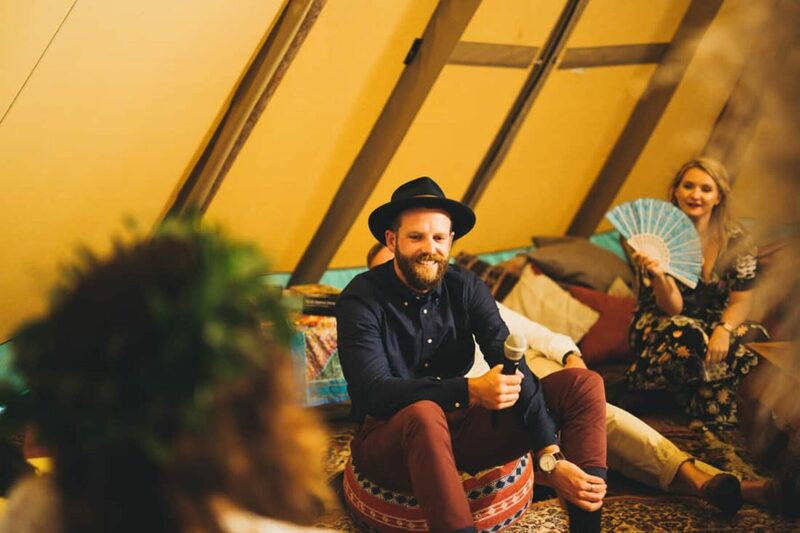 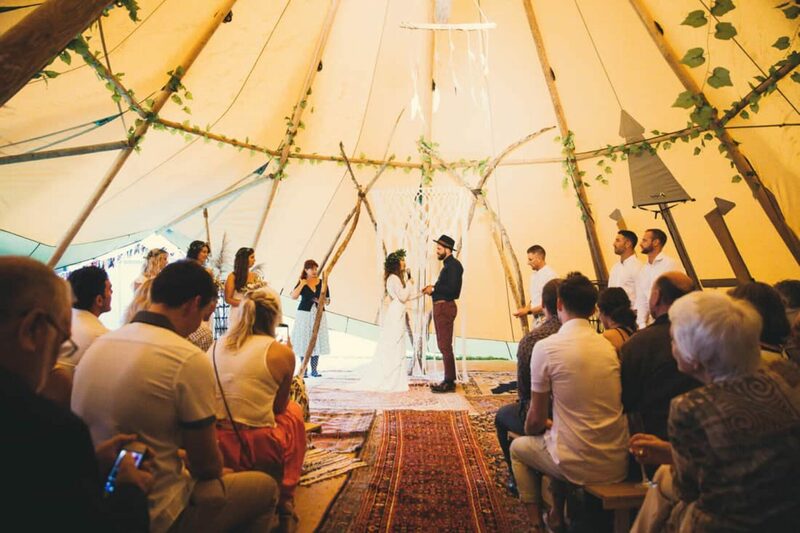 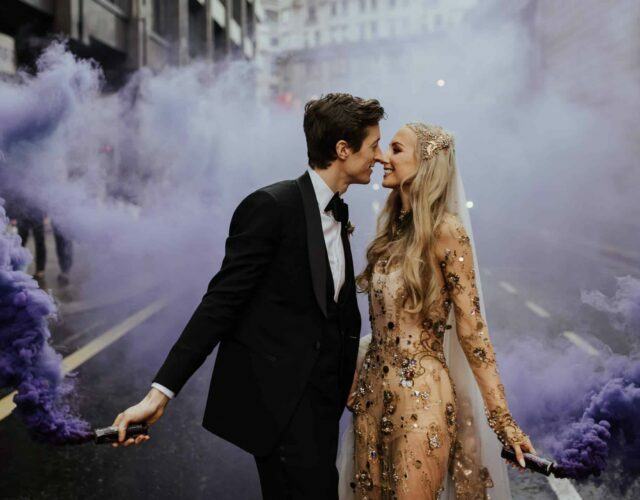 Going for a natural, bohemian style for the day with lots of colour and patterns, Matt and Jenna enlisted the help of Nouba faves Two Foxes Styling to deck out their wed fest. 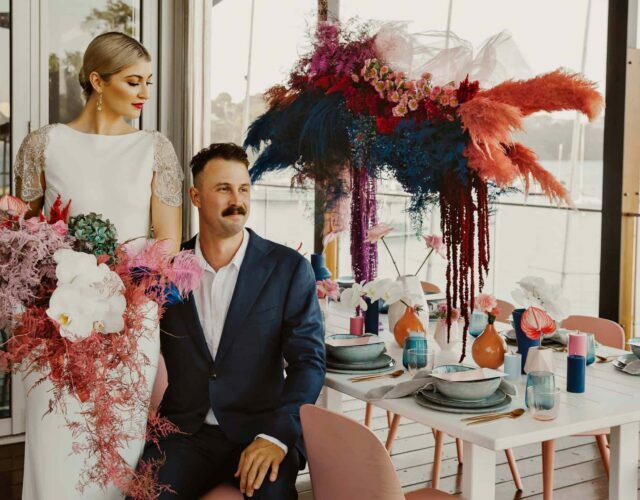 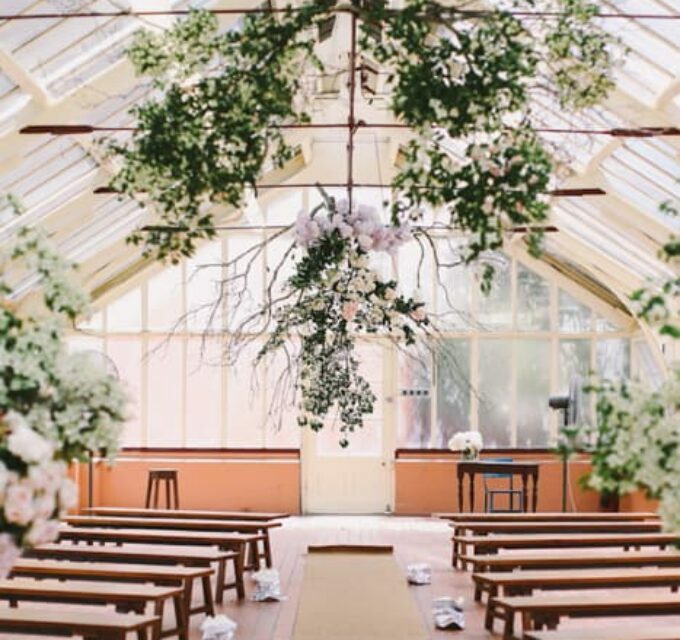 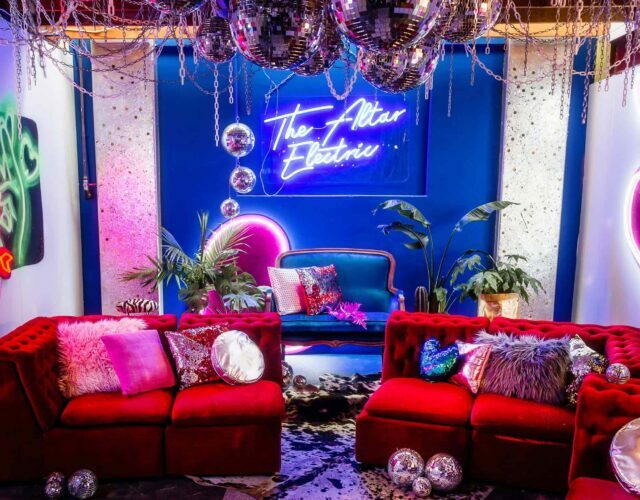 Peacock chairs and poufs set the scene, with a macrame ceremony backdrop from Spoonful Design hung from DIY arches. 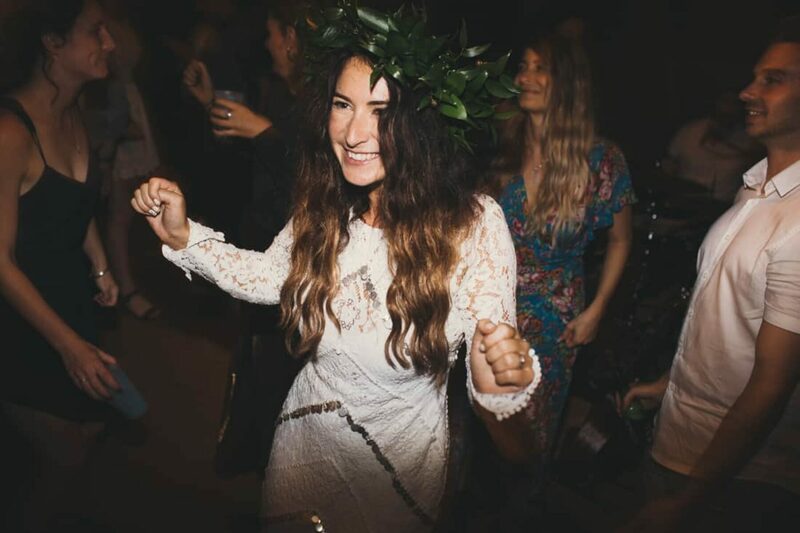 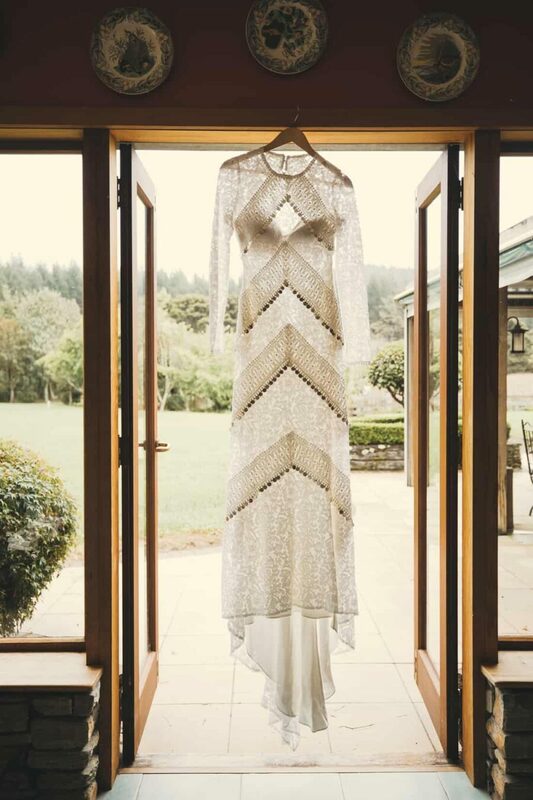 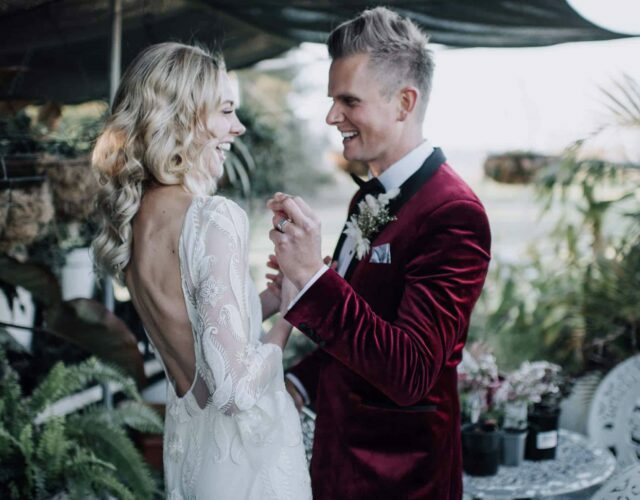 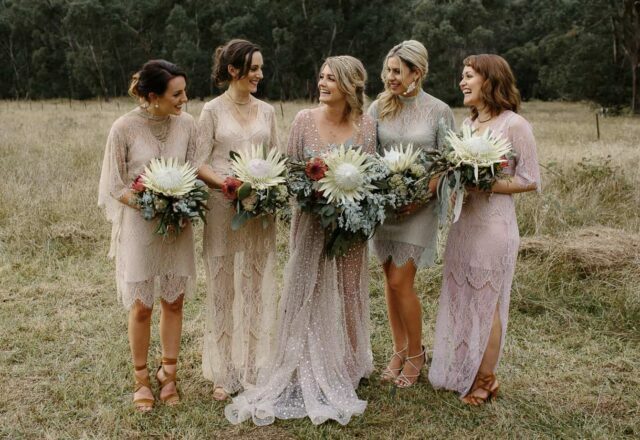 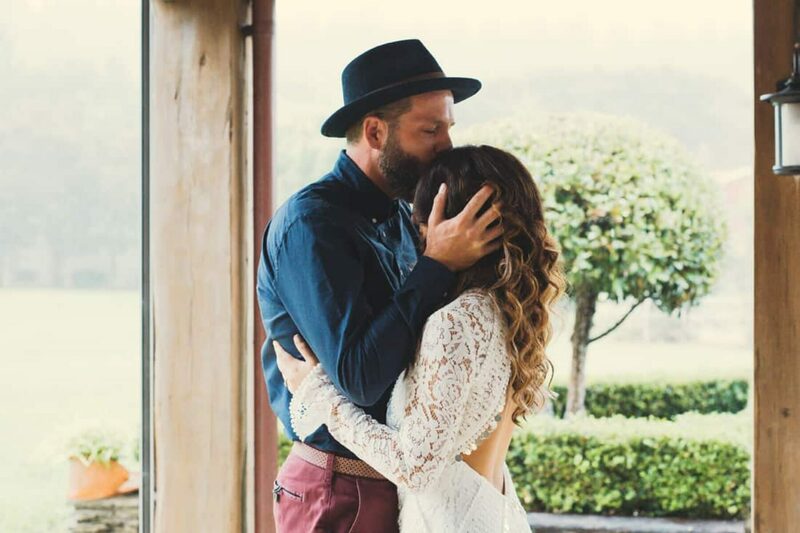 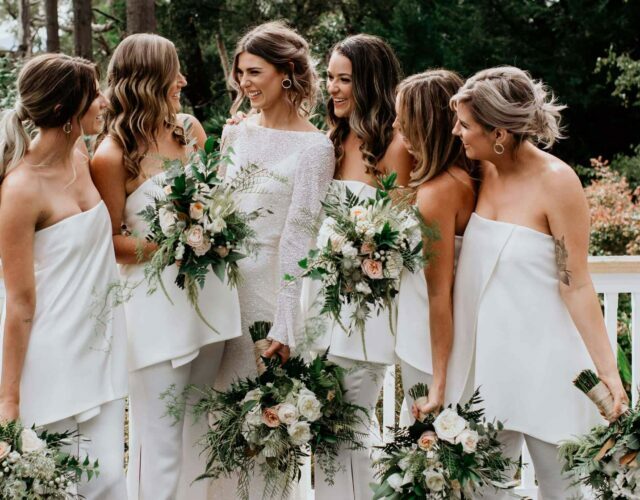 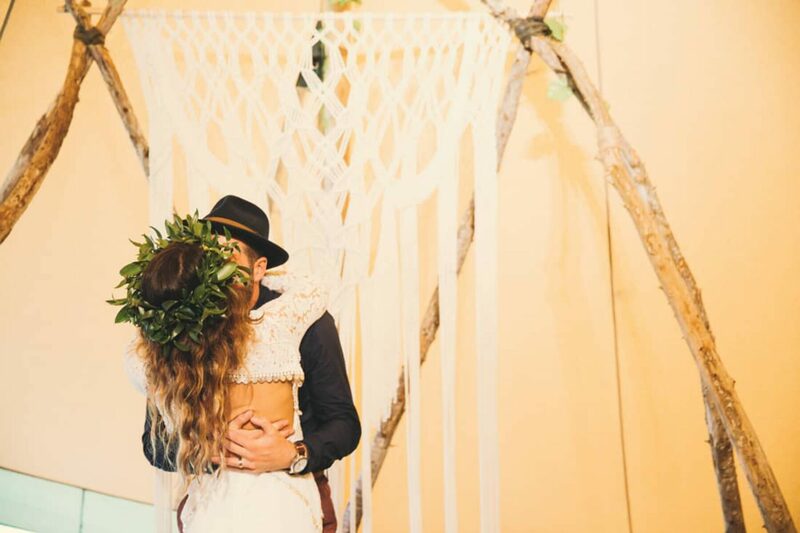 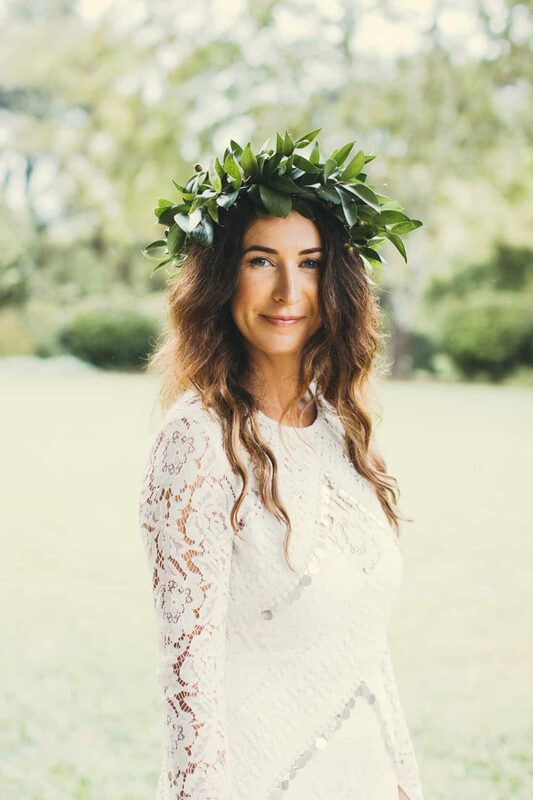 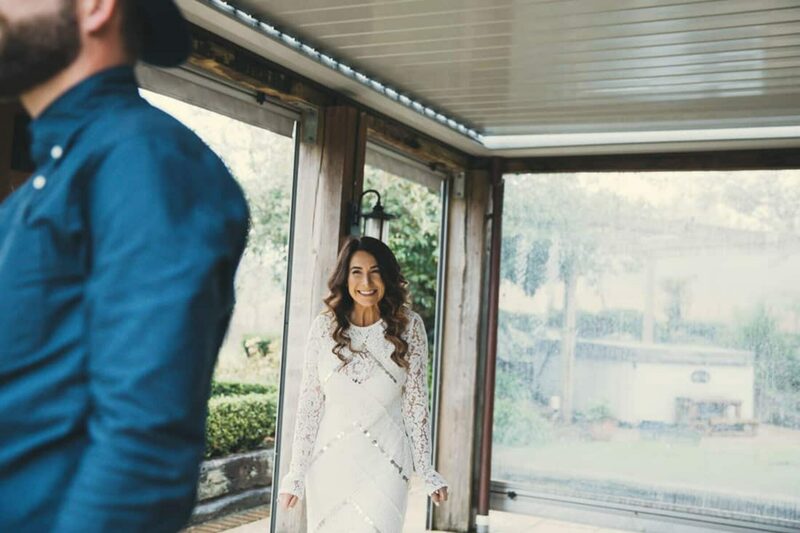 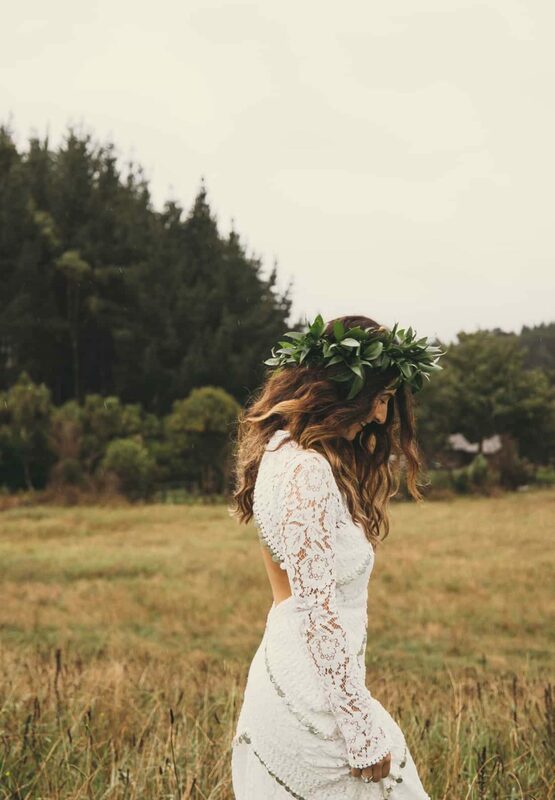 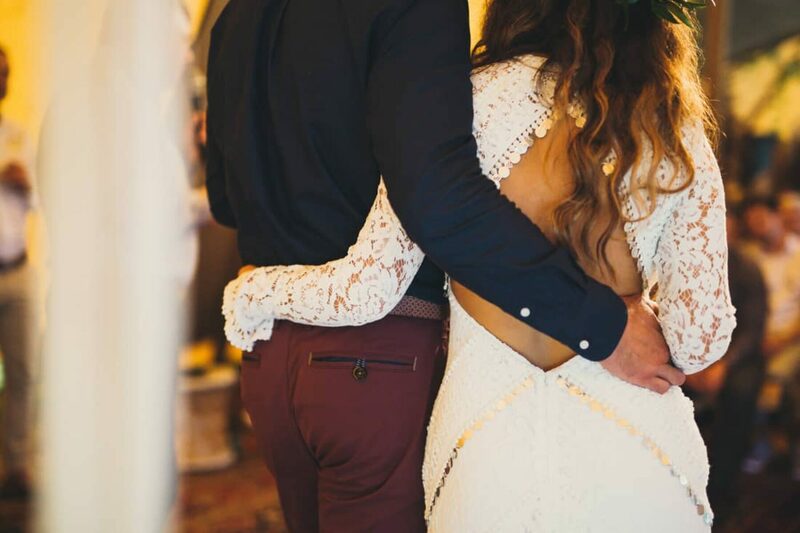 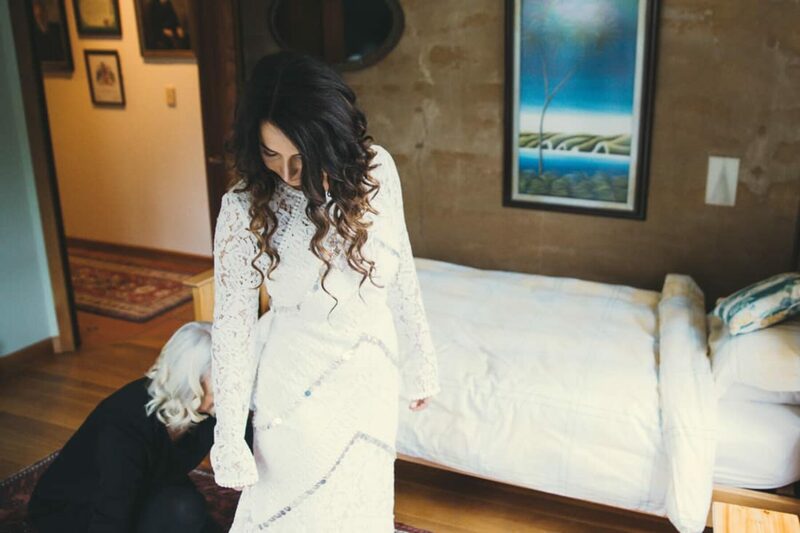 Jenna’s gorgeous backless number by NZ darlingsRue de Seine was the ultimate gown for her boho bridal look. 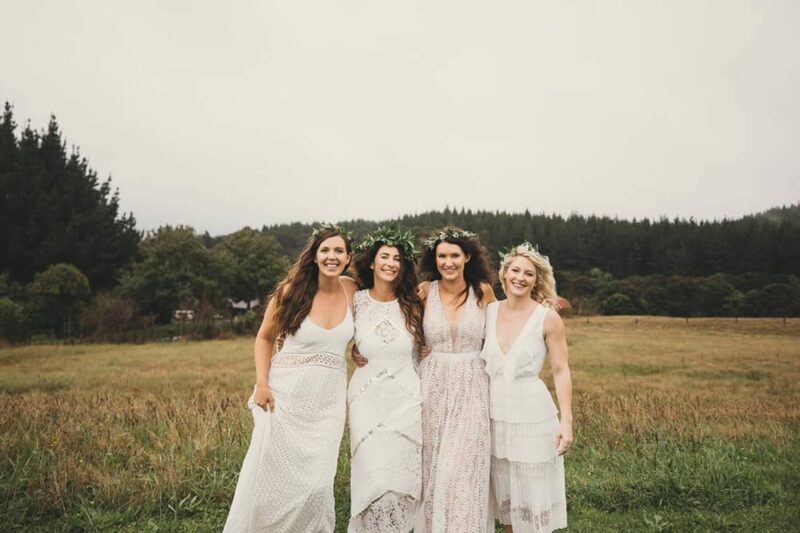 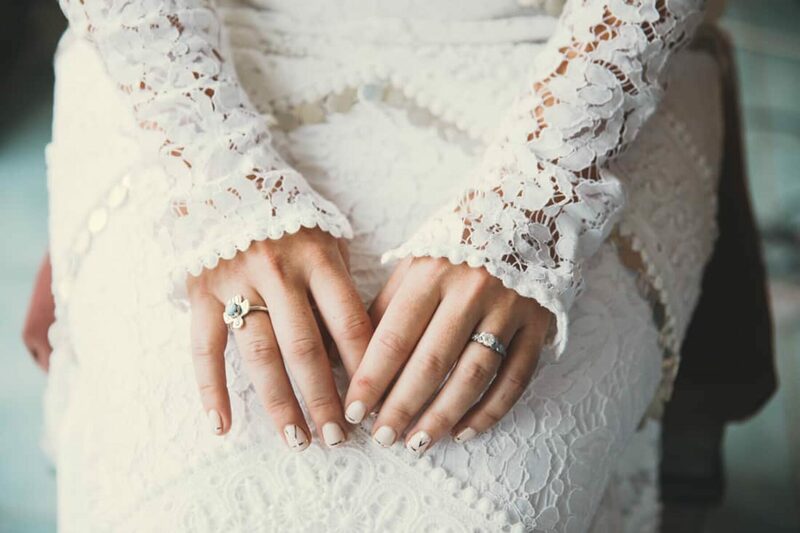 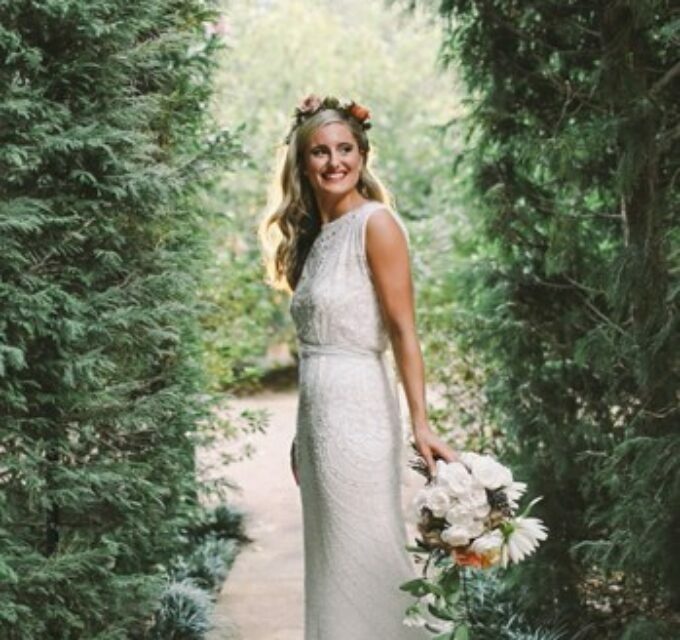 Her bride tribe followed suit in mixed white lace dresses and flower crowns. 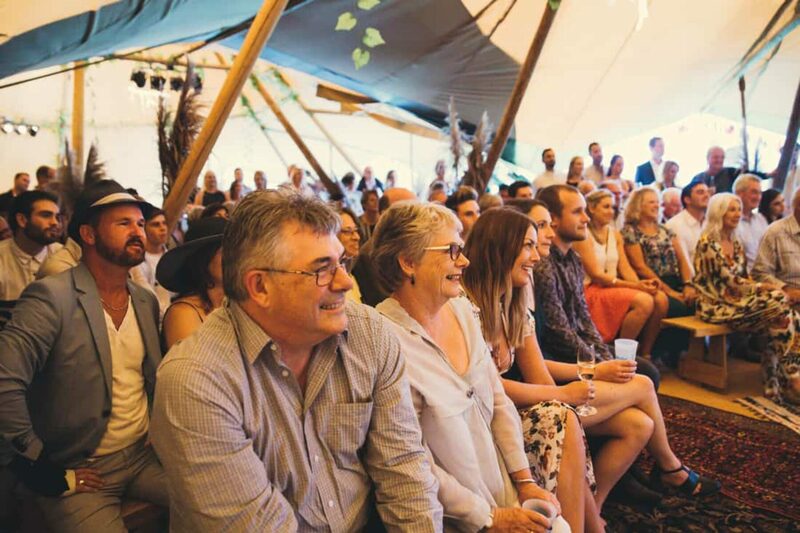 For authentic festival vibes, the stock-standard white marquee wasn't quite up to the job. 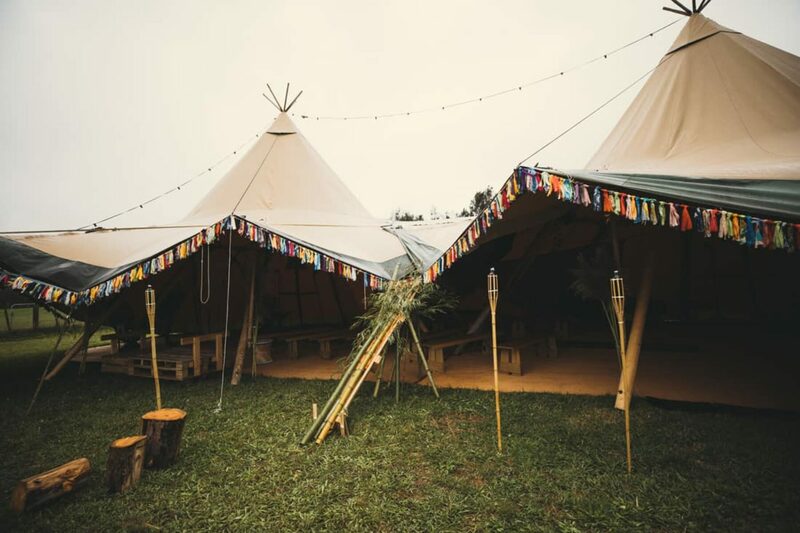 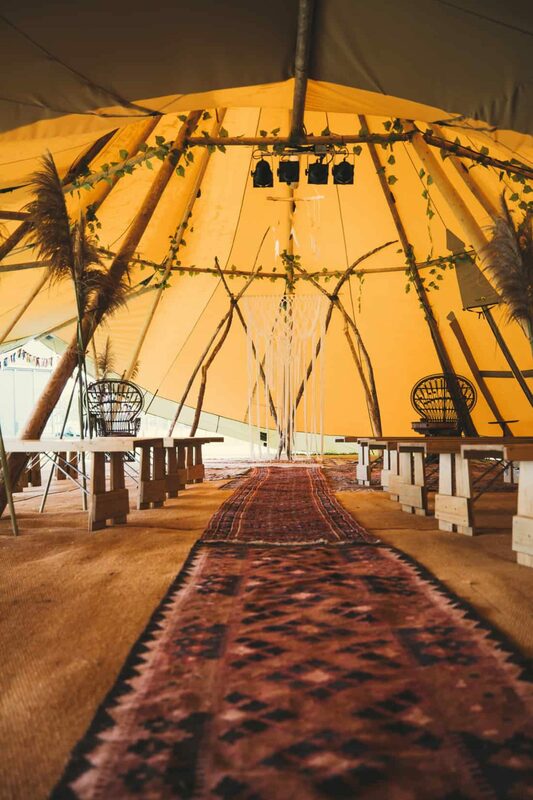 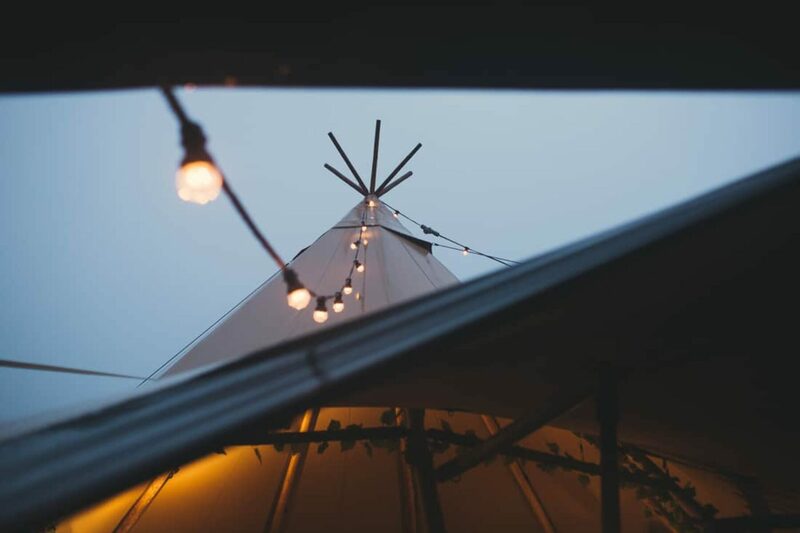 TopKata provided impressive tipi tents, furnishing with Persian rugs, tables, benches and festoon lighting. 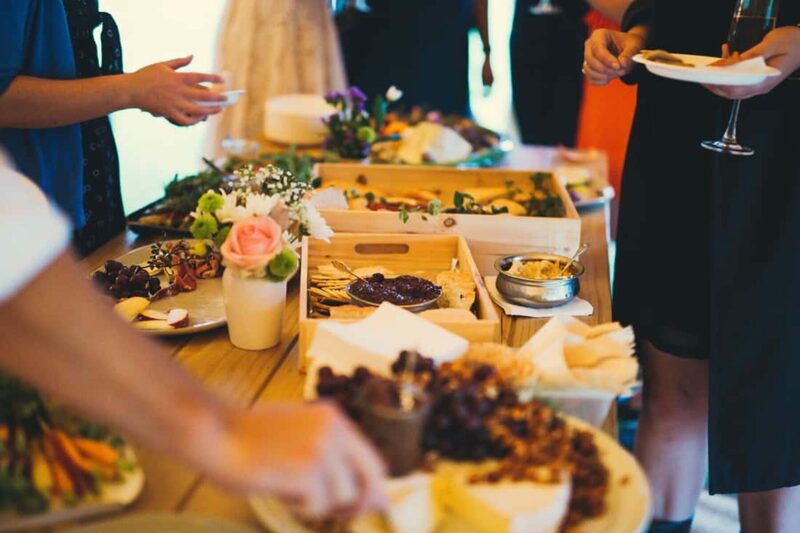 Guests tucked into a delicious grazing table provided by Jess’ Underground Kitchen. 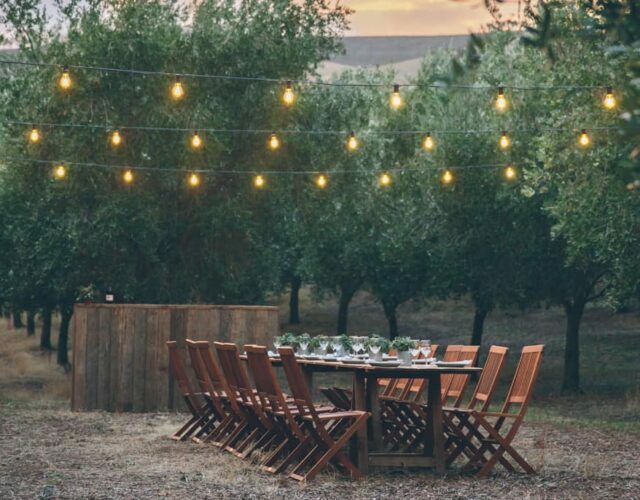 Of course being a two day party, the food didn't stop there. 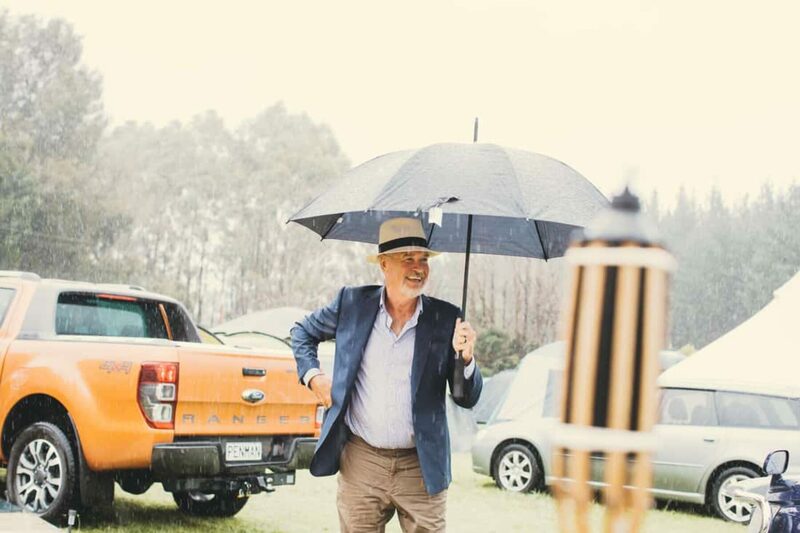 There were late night noodle boxes, and the next day guests emerged from their tents to be greeted by a coffee cart and DIY toastie station.